Jing-Jin-Ji is the largest and most dynamic economic region in northern China, and its air pollution has attracted much public attention. Scientific evaluation of health losses caused by air pollution can provide decision-making basis for formulation and improvement of pollution reduction policies in the Jing-Jin-Ji region. 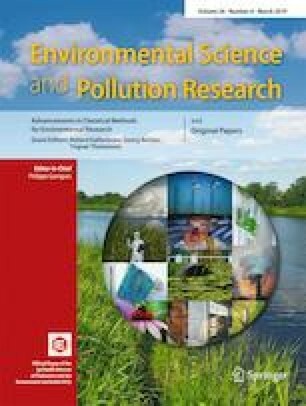 This paper estimated the adverse effects of particulate matter pollution on health in the Jing-Jin-Ji region in 2016 by using logarithmic linear exposure-response function, and monetized the health effects by adjusting human capital method and disease cost method. The results show non-ignorable health hazards and economic impacts caused by atmospheric particulate pollution. The economic losses relevant to health hazards by PM2.5 in the Jing-Jin-Ji region are 122.40 billion yuan, and those relevant to PM10 are 118.34 billion yuan, accounting for 1.62% and 1.56% of the region’s GDP, respectively. Similar evaluations previously conducted in other countries yielded figures within the same order of magnitude. Considering the difference in economic losses per unit among disease types, the economic losses caused by air pollution in the Jing-Jin-Ji region mainly come from premature deaths. Infants and elderly people are the main victims of particulate matter. Affected by population, pollutant concentration, industrial structure, and other factors, the economic losses of particulate matter pollution in Beijing, Tianjin, Shijiazhuang, Tangshan, and Baoding are large. In order to reduce health hazards and economic impacts caused by particulate matter pollution, this paper put forward to guide the urban population diversion, reduce the outgoing frequency of susceptible groups such as infants and the elderly in haze weather, adopt high-efficiency particulate matter air purifier indoors, and develop public transportation to reduce motor vehicle exhaust emissions. In Tianjin and Hebei, promoting cleaner production in industries such as steel and cement and reducing coal use in the power industry are also suggested. The authors express their sincere thanks for the support from the National Natural Science Foundation of China under Grant No. 71803182, China Geological Survey under Grant No. DD20160084, Beijing Publicity Culture High-level Talent Training Subsidy Program under Grant No. 2017XCB031, Open Fund of State Key Laboratory of Water Resource Protection and Utilization in Coal Mining under Grant No. SHJT-17-42.20.